There were very few directors you could pick to naturally to over the reigns from Ridley Scott. French Canadian director Denis Villeneuve (Sicario, Prisoners) was the obvious choice and you could easily say Arrival was his ‘audition’. With how some saw Scott handle the recent Alien films, it was a wise move for him to take a step back. This lets Villeneuve approach 2049 with unbiased eyes, the end result truly phenomenal. Blade Runner 2049 sees us head 30 years after the time the original film (2019).We meet K (Ryan Gosling), an LAPD officer whose assigned to hunt down replicants that went off the grid after the blackout. K heads out to the desolate lands to ‘retire’ an old model (played by Dave Bautista). What starts as a straightforward job for K, slowly unearths when buried secrets that could plunge society into chaos. K’s boss Joshi ‘Madame’ (Robin Wright) sends him on that investigation that leads him on a path of discovery. 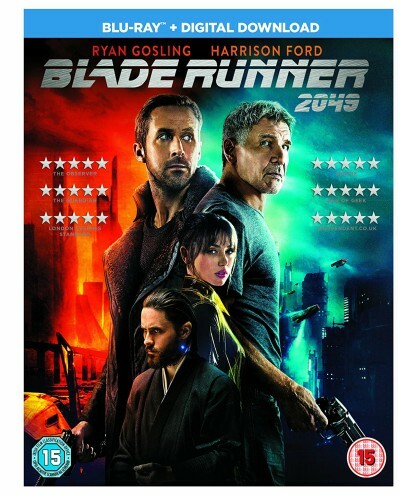 A journey that will lead him to cross paths with a legendary ‘missing’ Blade Runner, Rick Deckard (Harrison Ford).However, K has the Tyrell Corp saviour, Niander Wallace (Jared Leto) on his trailer. A man with a God Complex whose determined to evolve his synthetic human race. 2049 adopts the dystopian sci-fi noir of the original, which gives us an idea of the tone and pace we can expect. This may be a little off-putting for potential newbies if you are fans of Film Noir you should adore this. This, however, is not just another money grabbing reboot. The burning question is, does this film answer those questions we’ve been wanting to be answered from the original? To a certain extent it does, but also open doors to other possibilities as well as expanding those old ones. Ridley Scott’s Blade Runner explored humanity and all its imperfections as well as the strengths.Denis Villeneuve’s Blade Runner is all about the next stage. Hampton Fancher and Michael Green have created a script that’s very resonant with today’s advancement in AI. It’s alarming to think those ideas the original had on future technology, now a reality or in its infancy. Films like Terminator, ex_Machina, Ghost In The Shell even A: I Intelligence show how terrifyingly realistic A.I has become. Blade Runner 2049 takes it beyond The Turing Test and machines now have memories. Living naturally as an organic living being, so are machines taking over? Wallace’s Tyrell models are more stable than the original models. As the quote goes they are ‘more human than human’. Talking of Jared Leto, sadly he is one of the film’s weak spots. Some may call him one of the better method actors of his generation. His time on screen he was overly cliched, a tendency to overdoing things. Ryan Gosling as K, he gives a nuanced performance that was soulful and enigmatic.It was very similar to his roles in Drive, Only God Forgives. A stoic character, with plenty of bottled emotion, able to cope with the physicality the role demanded. 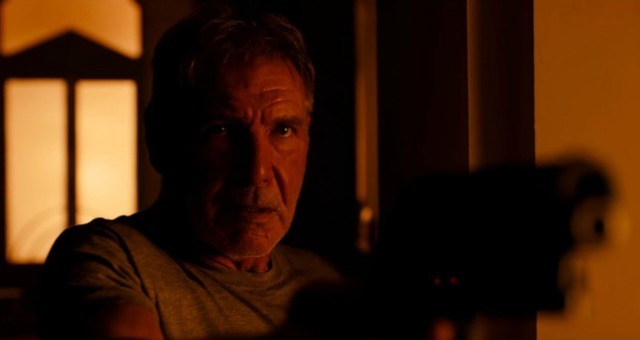 Bringing back Harrison Ford to the franchise gave 2049 its authenticity, we once again felt Deckard’s pain. Sylvia Hoeks was very impressive as Wallace personal Assistant and as the film progresses she was also his ‘muscle’. If you were looking for a Roy Batty character she was probably the closest. Ana de Armas Joi gives K’s digital Girlfriend some dimension. With a blink of an eye, she could change her look to suit K’s emotions. With the Oscars getting closer and closer, will it be 14th time lucky for Roger Deakins? We hope so. For many decades he has been creating some of the best cinematography in the industry and deserves the plaudits. For 2049 he captures the doom and gloom of our decaying planet. From the Neon-drenched polluted streets of Los Angeles to the wastelands once called San Diego to the Barren radiated deserts of Las Vegas. This film is like a love letter to Fritz Lang‘s Metropolis. We’ve become a tech dependancy race, living in coffin-like apartments, life dictated by the very rich few. Those in power live in Temple like buildings as we live in over polluted surroundings. Hans Zimmer and Benjamin Wallfisch‘s score gives depth and industrial tone. It’s in the spirit of Vangelis original, hypnotic and oppressive. There are some things I’ve missed in this review, it was done for a reason. Unless you have seen this on the big screen or read the spoiler reviews, the less you know the better. Blade Runner 2049 is testament with the right director in place, even the so called untouchable films become ‘touchable’. This film does have its flaws nor will it be admired by everyone who likes to call themselves a ‘cinephile’.Villeneuve has crafted a film that Parallels Scott’s 1982 original whilst at the same time compliments it. Think this film as a great wine. Let it mature and when the time is right, pour yourself a glass and enjoy the taste. Every glass you have, the experience is different. 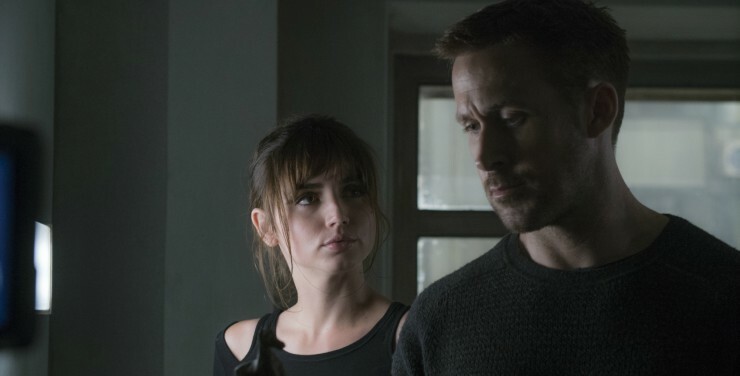 To a purist, 2049 is that visual masterpiece that will be admired time after time. There is various Blu-ray editions available and this review is based on the standard Blu-ray edition. Next to the now standard Digital Download copy of the film [Ultraviolet HD], there is an number of impressive extras. We have 3 Short Films entitled ‘Blade Runner 101 Prologues‘. 2022: Blackout [HD, 15:45] – Anime short directed by Japanese director Shinichiro Watanabe. The film gives an insight into an important event to Blade Runner 2049 plot.2036: Nexus Dawn [HD, 6:31] – Directed by Ridley Scott’s son Luke. This short looks at Wallace (Jared Leto) were able to continue his Replicant production setting up little points in the film. 2048: Nowhere To Run [HD, 5:49] – This short expands on Dave Bautista‘s Sapper Morton and how Gosling’s K hunts him at the beginning of 2049. This film is also directed by Luke Scott. The above short films help to fill the gaps between the Original film and this one. There is also one Blu-Ray exclusive feature called Designing The World Of Blade Runner [HD,21:55]. The name of the promo is self-explanatory, easily could be a full feature documentary. The promo gives us brief interviews with the cast and crew talk about the Blade Runner 2049 look. Though many would love to own IMAX ready Televisions and admire the beauty of IMAX transfer overseen by Roger Deakins. The Blu-ray transfer has a strong 1080p with a 2.40:1 aspect ratio that replicates standard cinema version. For the closest to IMAX version the 4K Ultra HD Blu-ray presented in 3840 x 2160p with a widescreen 2.40:1 aspect ratio will do the trick. As everything home release is aiming for 4K Ultra HD Releases and we can see this in the Televisions as well as the Blu-ray players. This version is still of high quality and you do get a feel for claustrophobia of the streets next to the attention to detail. Blade Runner 2049 arrives with a Dolby Atmos soundtrack and like Video it will be all down to the sound system you have in place. If you’re lucky will be treated to a truly magical sound design which picks up all those little ambients as well as the main sound.Ram up the sound!